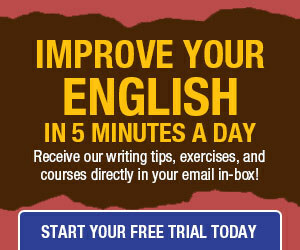 In each of the sentences below, the noun phrase immediately following the introductory phrase is not the referent for that phrase; you have to keep working through the sentence and locate another noun, or, sometimes, surgically separate a “(noun)’s (noun)” phrase to isolate the correct one. You know, the funny thing is that I understand pretty much what the author of each sentence intended. Yet, it seems that in each case, the author attempted to scratch the left ear with the right hand, so to speak, basically going through contortions, for some reason that I don’t understand, that complicated a straightforward idea. Maybe the authors were insecure in their writing skills and thought they had to dress things up, shift things around, fancify them to make them more interesting? 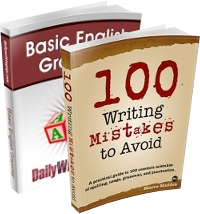 In the past, DWT has given tips on how to make writing more interesting, and suggestion was to change up the sentence structure. However, the above examples are obviously NOT the way! I agree with “thebluebird11.” Pull this one, re-read, and start over since it’s a useful topic. Write the intro paragraph in the affirmative. State what each of the poorly constructed sentence sounds like, and then show what the new sentence is supposed to mean. The simple rule I learned on this topic is to place the modified noun immediately after the comma. This topic is worth a second attempt to be more easily understood. And I agree with Roberta! Didn’t DWT just have a whole discussion about all these phrases, use of commas to set them off, etc? The other sentences could also probably benefit from being re-cast. Totally off the subject, I transgress. Was that a White Stripes/Dead Weather reference? Nice. I agree these are taboo, but the real artistry lies in a crafty rejoinder. The subject (implied or stated) of the introductory phrase or clause needs to be the same as the subject for the main sentence. By doing so, a writer will solve all problems with dangling modifiers. bluebird — right on; long live the subjunctive. No! May the subjncitve not be.